Winter Light . . . The art studio replaces the trout stream and bass pond when the white skies of winter fill my Manhattan rooms with a pale light perfect for my drawing method. Today is such a day. 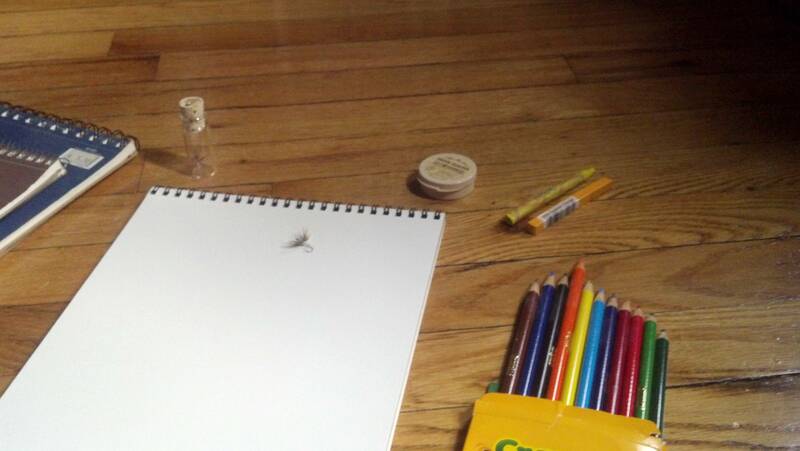 I assemble my materials on the floor, assume the zazen position, and commence to document the fly pattern and the unique shape of its shadow during the given illustration session. The result, if I am successful, shall be a unique portrait. 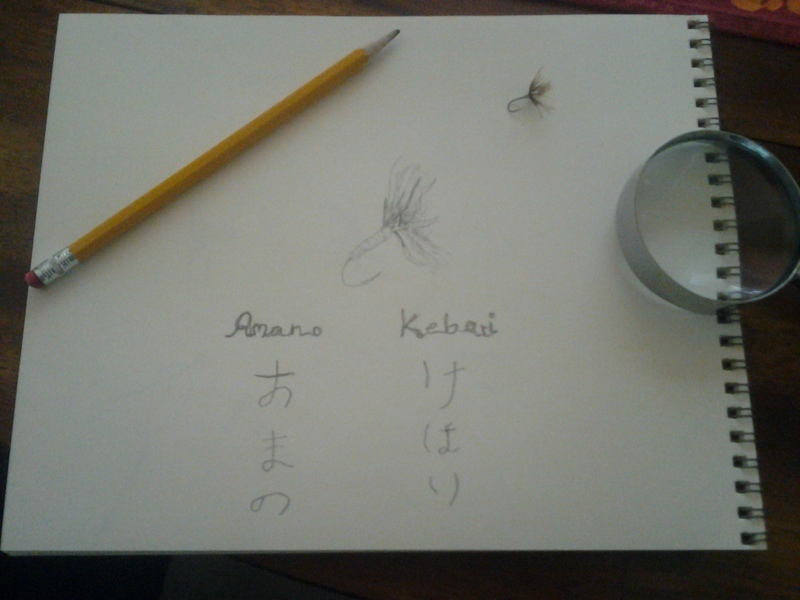 Today’s sitter: the Amano Kebari . . .